I had a great time making this bag and made a one a little bit larger for Mom to carry around as well. You can find the pattern here. 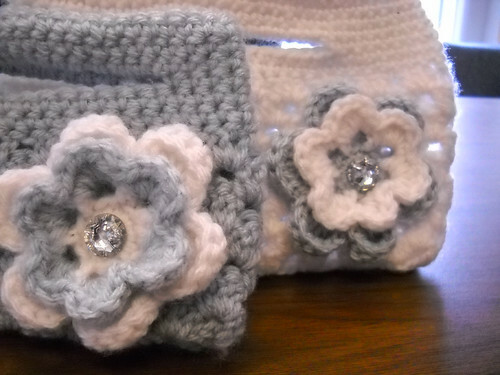 These bags were easy to make up and I added a little flower bling. I made one of the blue bags for one of my co-workers and there may be more on order. 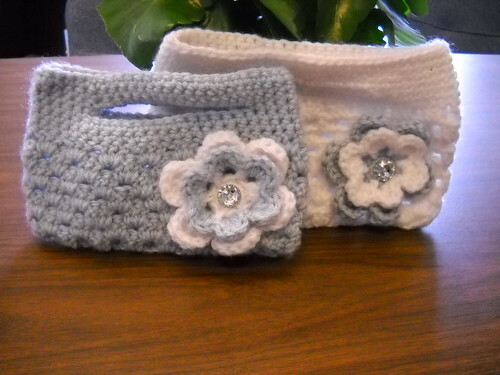 This entry was posted on Saturday, May 14th, 2011 at 6:16 pm	and posted in Crochet. You can follow any responses to this entry through the RSS 2.0 feed. 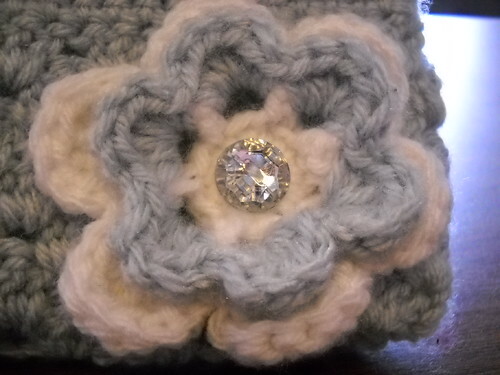 LOVE your purses – and the little bling in the flowers, too – TFS! Very nice bags. Flowers look great! Thanks for sharing! So cute! These are on my to do list! Awesome ! I too have been meaning to crochet these ! Thanks for the inspiration!